That’s what drives Preview Nights, ticket sales, social media; and which funds the show. (The exhibitors rent space from the show.) A publisher doesn’t have a booth? Creator with 300,000 followers says she’ll be in Artist Alley? Exclusive swag? That is how C2E2 is bigger than NYCC: the square footage of the show floor. NYCC uses the entire exhibition space on the third floor of the Javits center. Let’s add halls 1B (used last year for fan groups and autographing), 1C (used for the stockyards in the morning, as fans line up to get in, and panel overflow) and the North Hall (Artists Alley). 116+158+17+119+80+80++80 = 650,000 square feet. This past week, C2E2 used three-quarters of Hall A at McCormick Place. This doesn’t include the North Hall (B), which ReedPOP used for registration. Yes, C2E2 is half the size of NYCC. It hasn’t sold out yet, and is still three days long. 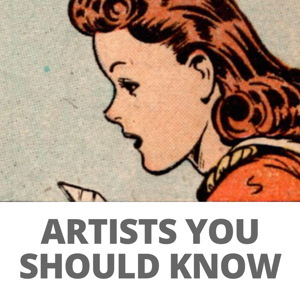 It’s growing at half the rate of the New York show, although once past a certain number, the size and scope of a show encourages word-of-mouth and interest, mostly by media outlets. This year, C2E2 had wide aisles, and it was easy to move around. How do you calculate the best density or capacity for a show? Looking at the chart above, one could average square feet per attendee. So let’s calculate 10 sq.ft. per attendee (a little more than a square yard, or almost a square meter). That’s a fairly normal definition of “personal space”. McCormick has 2.6 million square feet of exhibition space. This is for a three day show. Four days? 345K – 400K in attendance. Crazy? Not really. The Chicago Auto Show uses one million square feet of space, runs nine days, and attracts more than one million attendees. They don’t report attendance figures anymore but in 1999, the auto show hosted 1.2 Million attendees over nine days, with 199,000 on the last Saturday! This year, they used the North and South halls (A + B). So, those last four days total: 571,590. Now, I’ve never attended an auto show in Chicago or New York City. 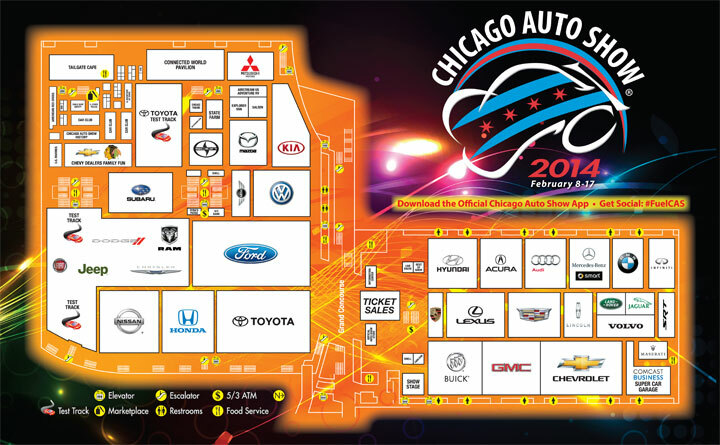 But looking at the 2014 floor plan for Chicago, it’s mostly big chunks of real estate carved out by manufacturers, with a small area for retail and other exhibitors. Seriously… that middle aisle at San Diego where studios and toy companies dominate? That’s almost the entire auto show! Booths so big, you can place corporate logos on the map! Remember, this is just the South Hall and the North Hall (A+B)! There are also halls C (North), D and E (Lakeside), and F (West). Another 1.4 Million square feet! So let’s take that Auto show number from above… 570K attendees, four days. What if we took that density and expanded it to the entirety of McCormick Place? One million two hundred and thirty-five million attendees. Want to get REALLY crazy? Why not do what the Auto Show does… NINE days! How do you fill the building during the week? Hold it during Holy Week? Offer workshops for area students. Encourage people to take a day off of work. (Look at the numbers above for weekdays… 80K. Somehow, someone is coming in to look at cars.) Run events at night, after work, like screenings. Then we will surely have a Nerd Mardi Gras, as it spills up to Burnham Harbor (Field Museum! Shedd Aquarium! Adler Planetarium!). 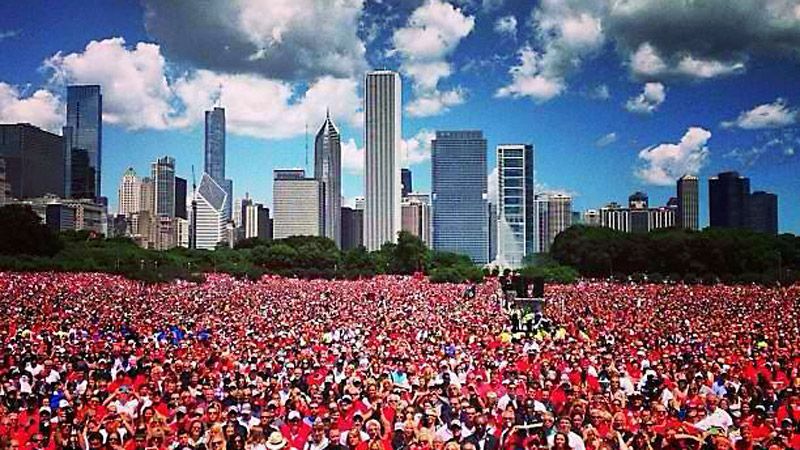 Last year’s Stanley Cup celebration downtown at Grant Park drew an estimated two million hockey fans. I know that there are an equal number of pop culture fans in Chicagoland. Heck, sports fans are just another geek tribe! The City plans to build a 12,000-seat arena and a 1200-bed headquarter hotel north of the center, as well as turn the neighborhood into an entertainment district. While it will still be three blocks away, there is a station under (re)construction on the Green Line at Cermak. This is part of the McCormick Entertainment District plan. CTA should figure out a way to run buses along the McCormick Place Busway, like the Silver Line in Boston (bus rapid transit). And convince Metra to run shuttles. And run a “red/green” trolley from McCormick to the Red and Green lines every ten minutes during shows. Myself, I grabbed the #3 bus to the convention center from the loop. Or if I didn’t want to wait, the #4, walking through the West Hall. (And grumbled that tourists have to pay $5 for a blank CTA card.) Aside from waiting, the ride was easy, and took about fifteen minutes. Probably faster than the El, which was next to my hotel. I’ve been to several Chicago Auto Shows (twice as an exhibitor), and even on the busiest days, getting around is never as bad as the meat-grinder-like aisles founds in various parts of Comic-Con International. So as long as the demand is there, C2E2 can keep growing and growing and growing. By comparison, both San Diego and New York have reached their maximum capacities. I’m from California, I’ve never taken a bus in my life. That sounds terrible, especially carrying tons of stuff. Ha! I know, I’m spoiled. A million people all into pop culture? Everyone is into popular culture of one form or another. That’s why it’s called popular culture. But as someone who works in comic books I would rather do a small comic book convention than a huge pop culture convention. SDCC has a large percentage of the floor reserved for comic books that they will never let the big guys set up in and they have tons of comic book programming. When C2E2 gets that large will they be able to say the same? 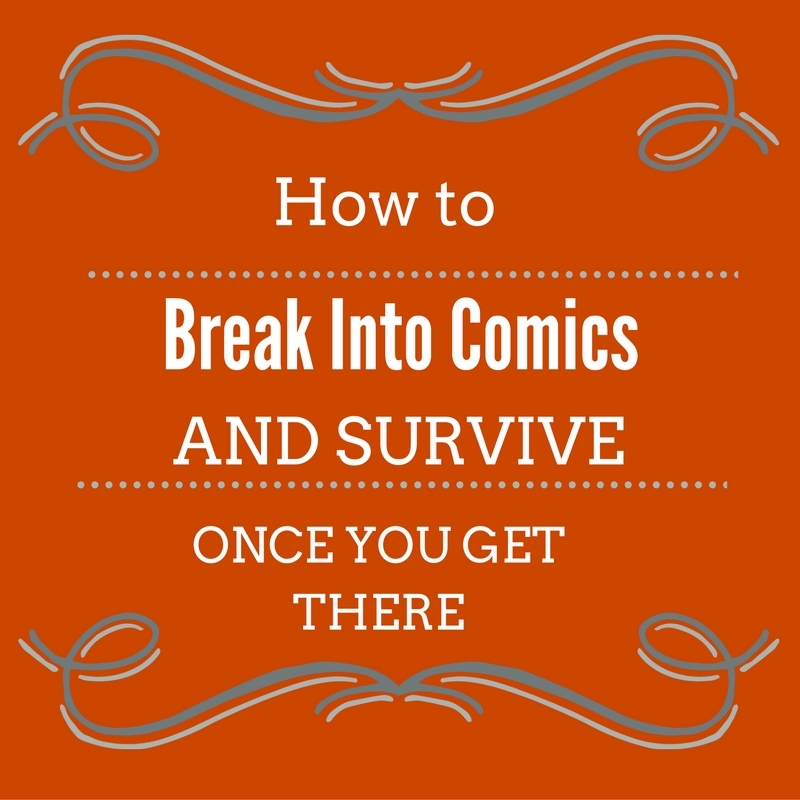 Will they keep the focus on comic books? We should be encouraging cons to grow BETTER not BIGGER. Paul — I grew up under modest means in Chicago, so public transportation was the norm until I bought my first car at the age of 23. So when I was transferred to LA in 2009, I did some quick math and decided getting a car was a waste of money. So I spent three years there without a car, and I pretty much went all over the place. Every day, I took the Wilshire bus eight miles straight down Wilshire from Koreatown to Westwood, and back. Every Thursday night I took the subway to Burbank to meet with my buddies at a local café. But yeah, I turned the heads of a few LA natives when I mentioned I didn’t need a car. LA natives are indeed spoiled — especially the ones who drone on and on about climate change while driving around in their big SUVs or luxury cars. A lot of “mights” in this article, though. I agree that there is a boatload of potential in that convention space. But it’s also costly as sin, which is why it’s so rarely used for popular consumer shows. There is the potential there, but that also relies on the assumption that Chicago will be there for it to fall back on. There is some talk of creating an L line that would run from McCormick Place up to Navy Pier in a semicircle. It’s probably 10-15 years out from construction though. It would connect to all the other major L lines in the loop area.